"We Love Digitization and So Will You"
Trust Digital Hadiza to grow your online presence and increase customer conversions with professional PPC management. PPC stands for Pay-Per-Click advertising, one of the most powerful methods to secure targeted traffic to your website. What’s more, despite the compelling results you can achieve with a well-executed campaign, it is impressively cost-effective, allowing you to display your advert in the sponsored link section of Google’s search results. PPC is predominantly associated with main search engines like Google or Bing and works in different forms from shopping product listings to remarketing banners ads. Typically, advertisers bid on keywords or keyword phrases which are relevant to their business and target market. Content sites will charge a fixed price rather than use a bidding system. PPC is one of the fastest growing advertising mediums and is increasingly popular with small to medium businesses looking to grow and establish themselves in their respective markets. 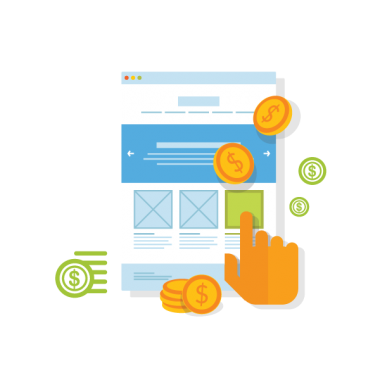 Our team of PPC specialists will help you drive revenue through highly targeted traffic and help you reach your target consumer at the right time with the right ad. What’s more, you can set your budget to control costs, and any data gained from your PPC campaign provides insights for your other digital marketing channels. we align our holistic marketing initiatives to your specific business goals for effective collaboration, ensuring we all work towards the same objectives. Our digital specialists will deliver the full suite of AdWords management products, from PPC to display network advertising and re-marketing. We’ll work with you to identify the overarching social media goals you want to achieve by conducting a full analysis of your target market, competitors, identifying which social media channels are suited to your business and how we can track your success. Why Choose Digital Hadiza for Your Next PPC Campaign? International team of digital specialists. Integrated approach to digital marketing. At Digital Hadiza we aim to inspire people, keep up with upcoming trends and generate business through the perfect combination of creativity and technology.Through research, analysis, creativity, and careful evaluation, we are able to offer solutions that enhance the relationship between brands and consumers.